How great are these Princess LEGOs? 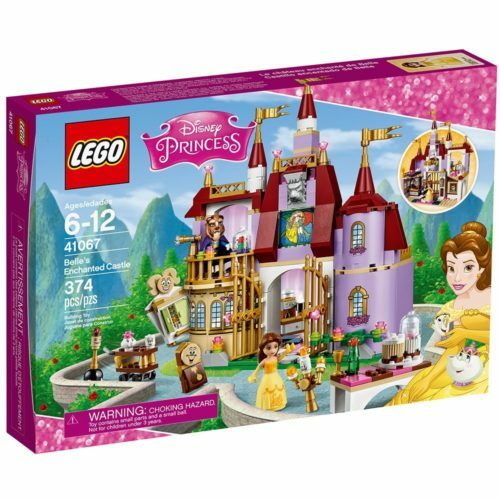 We’re so happy to see the LEGO company busting out fun new sets for our princess-lovin’ friends, and we can’t WAIT to get our little mitts on this Enchanted Castle Set! It comes with a lot of your favorite friends from Beauty in the Beast in minifig form and makes a two story castle with a ballroom! Express shipping, here we come! Plus, this thing is coming in at well under retail right now, something that hardly ever happens with LEGO. So, if you’re looking for a Christmas gift or a birthday present that will knock her socks off, this set is the way to go! Grab it now, while it’s still around for $36.99! Obviously, I need a Lego castle for each and every Princess.